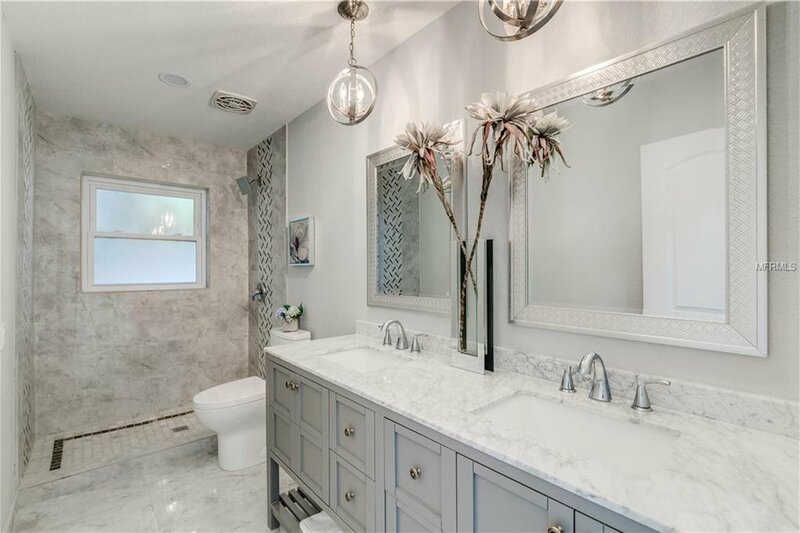 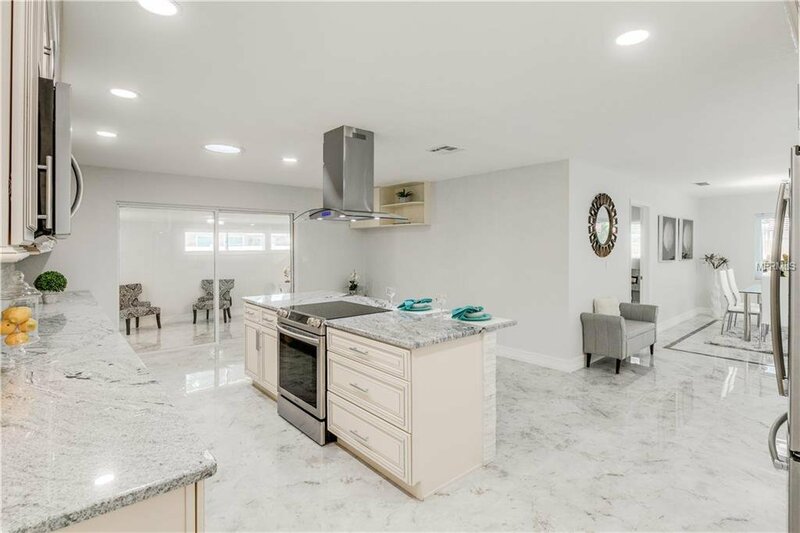 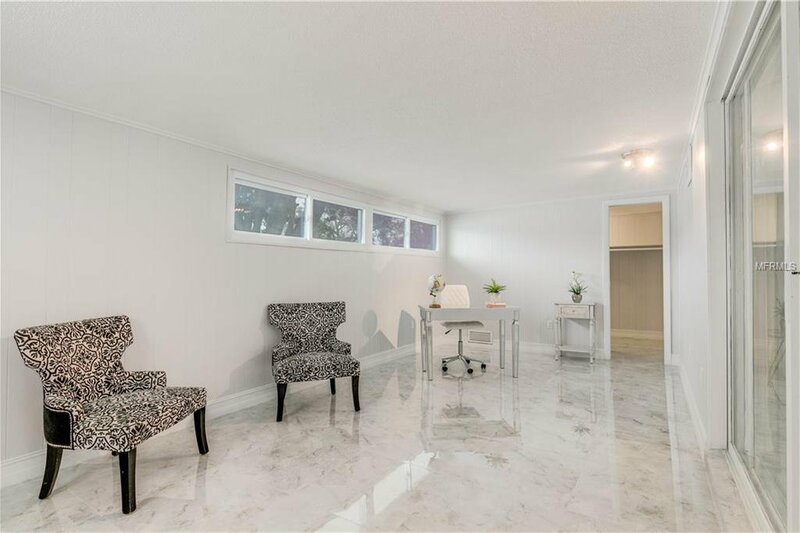 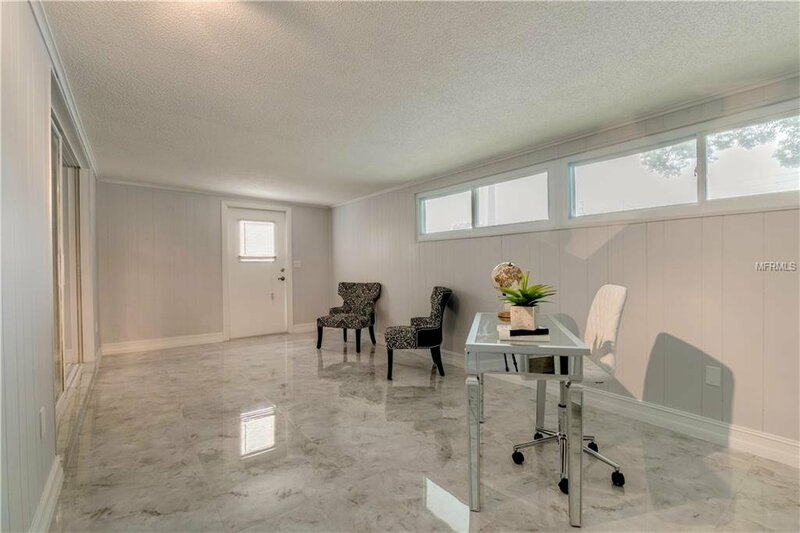 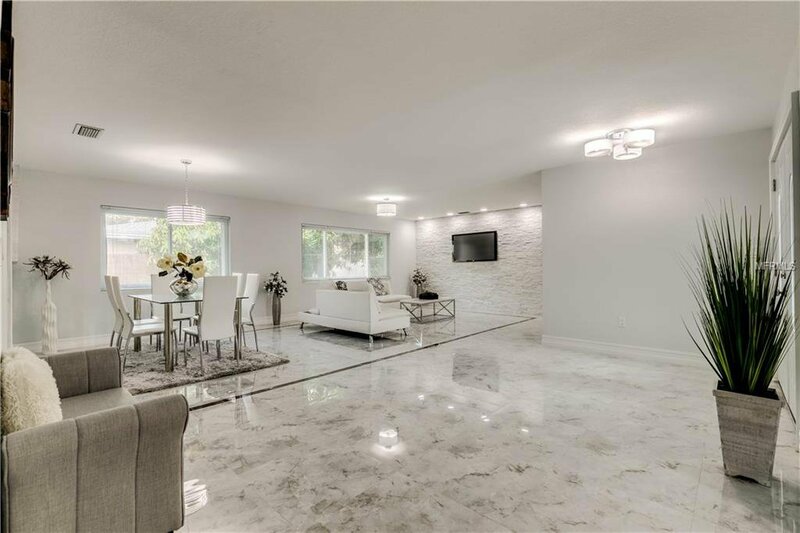 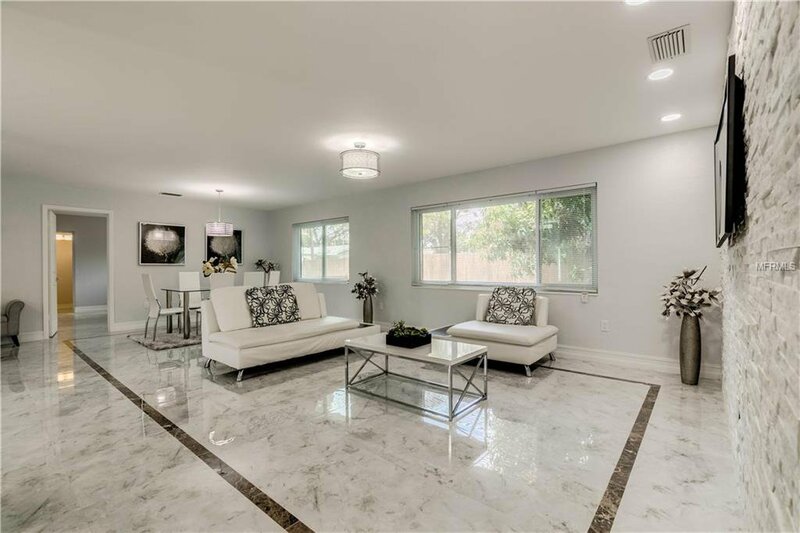 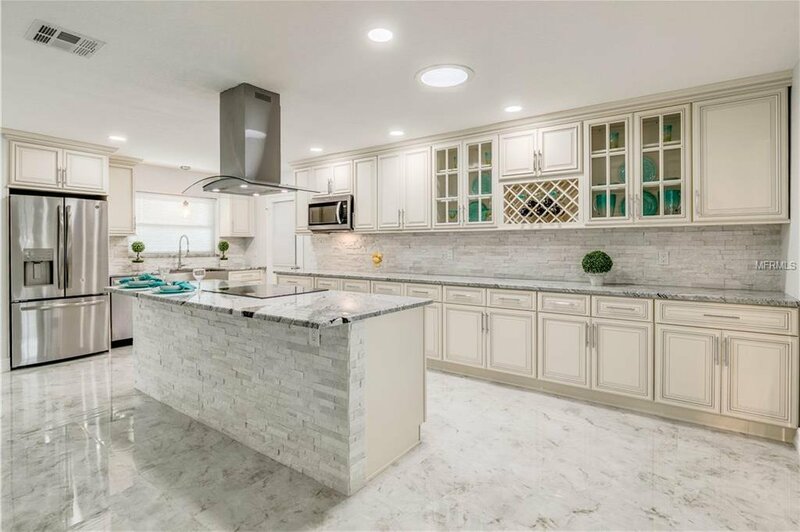 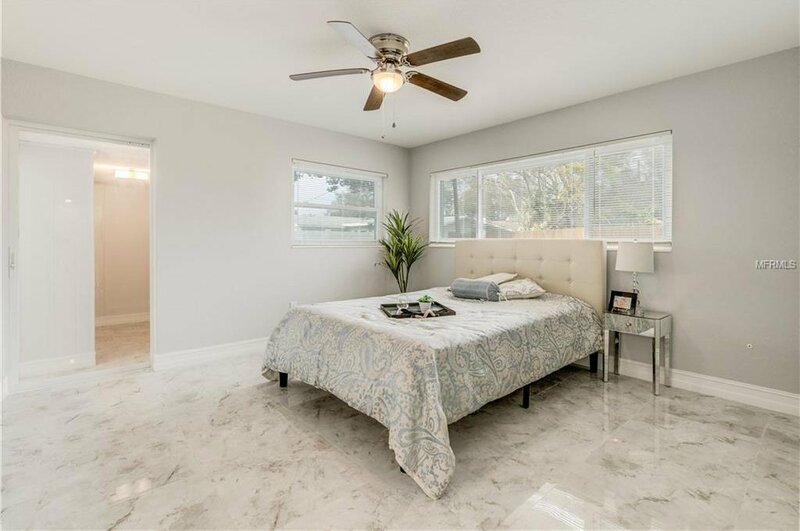 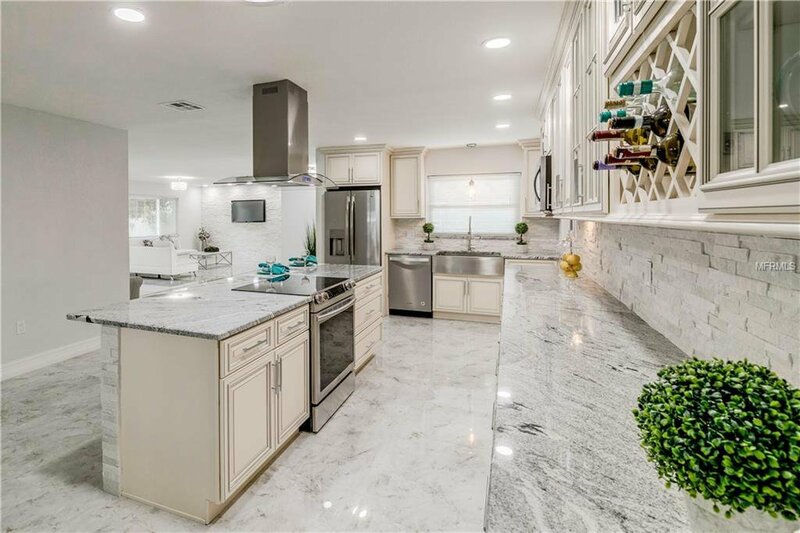 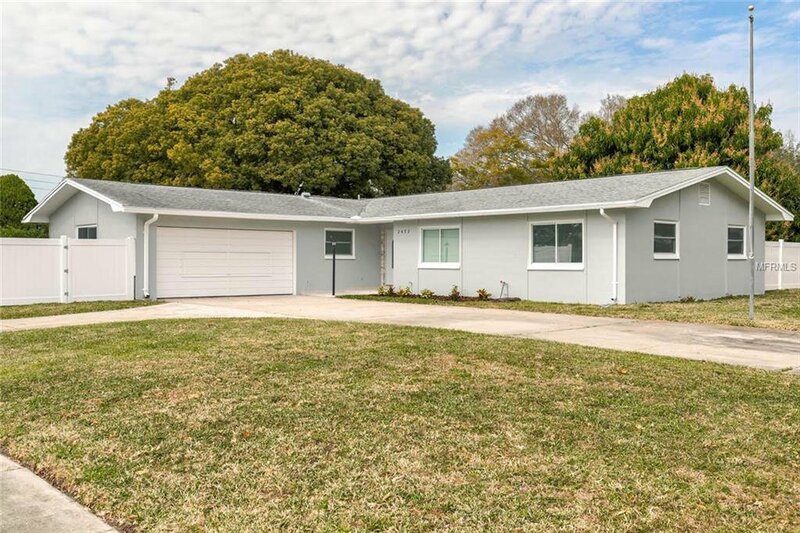 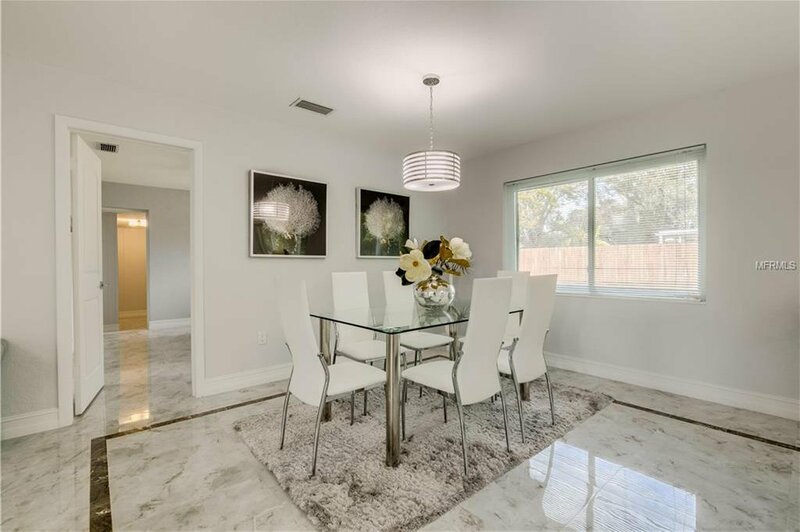 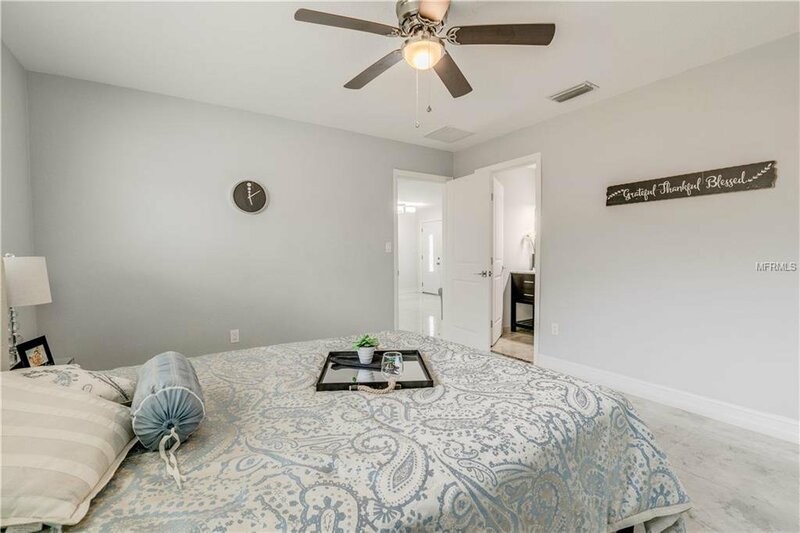 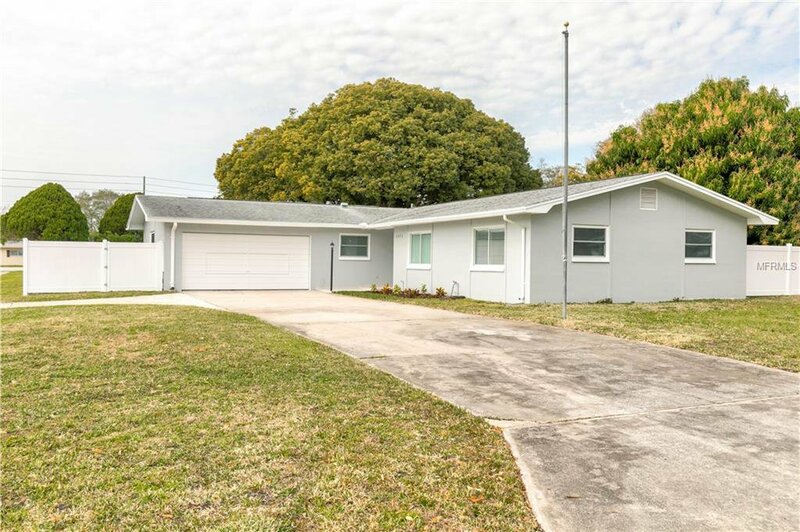 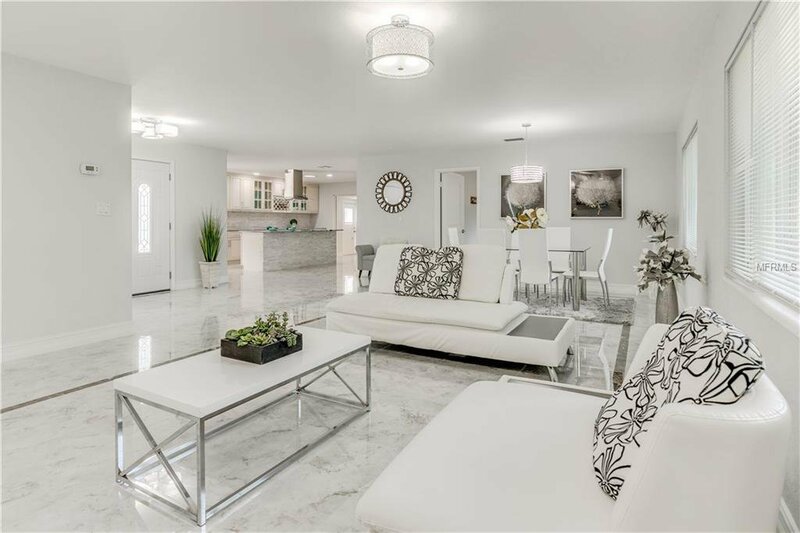 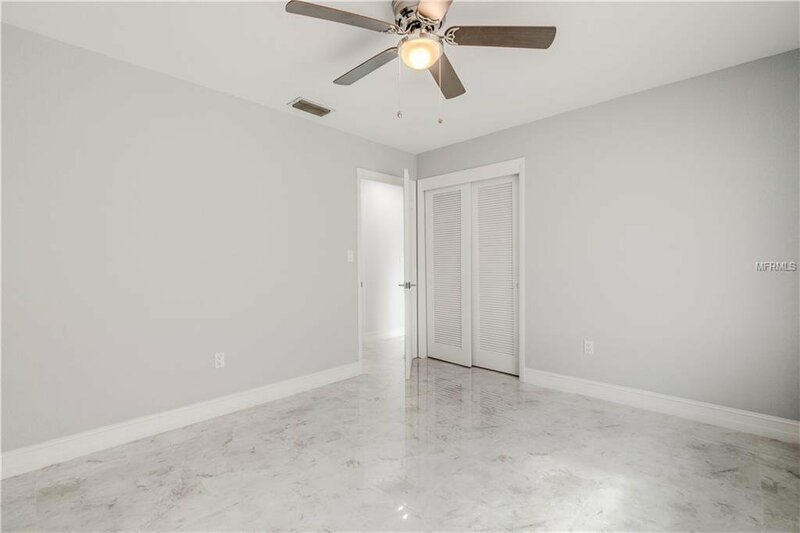 Don't miss on this fabulous, totally remodeled home, 4 beds, 2 baths, 2 CG located in the heart of Clearwater. 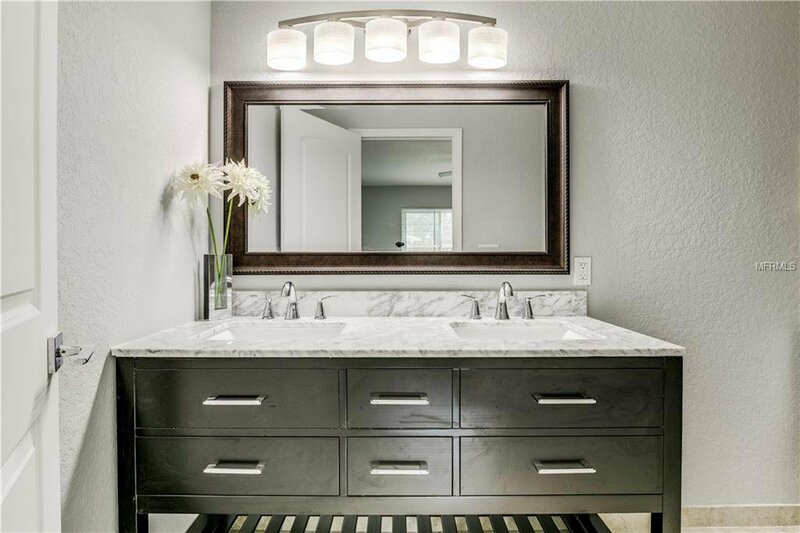 You will love all the upgrades in this house including a master suite and a custom designed wood kitchen! 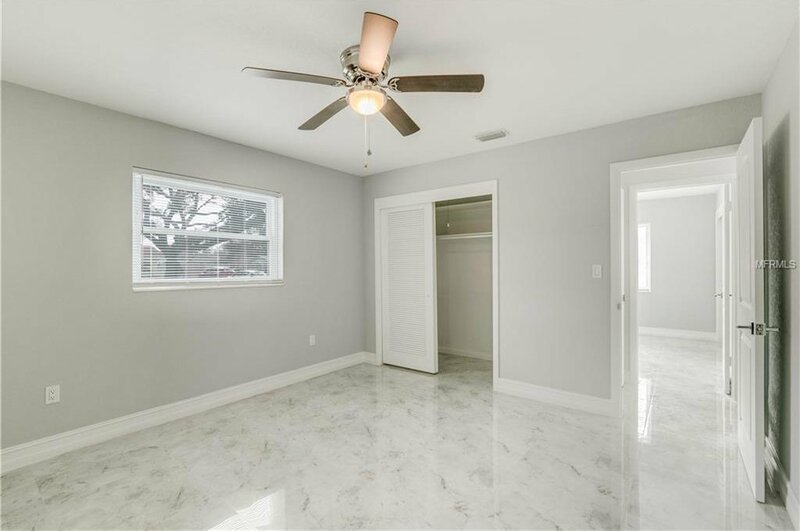 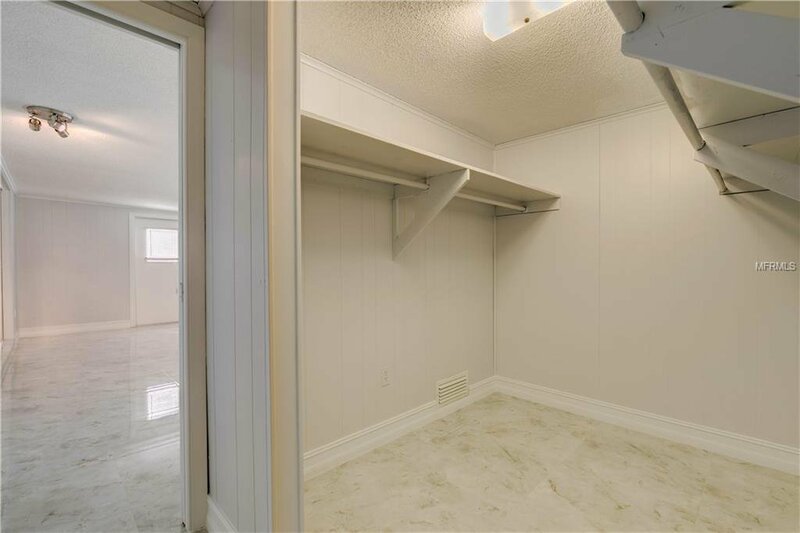 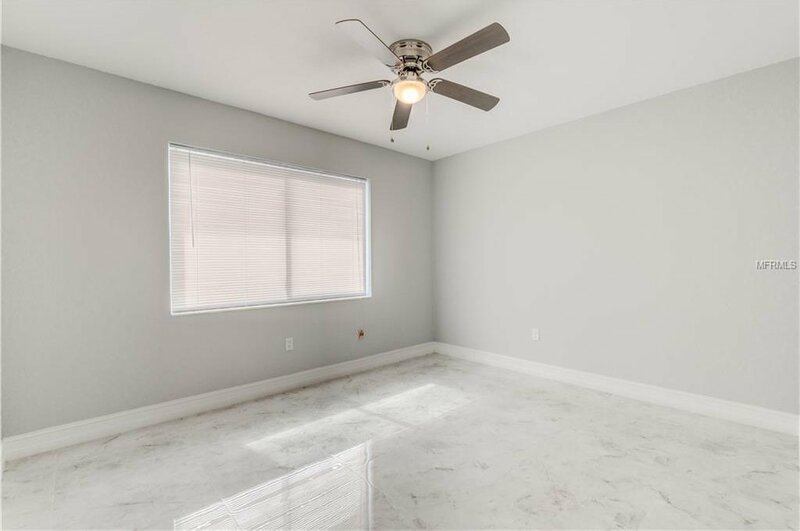 Improvements include porcelain tile flooring through out the house, brand new AC, fresh texture, paint inside and out, newer windows, newer roof, upgraded LED lighting, new baseboard, brand new interior doors/exterior double front doors with glass and many more features. 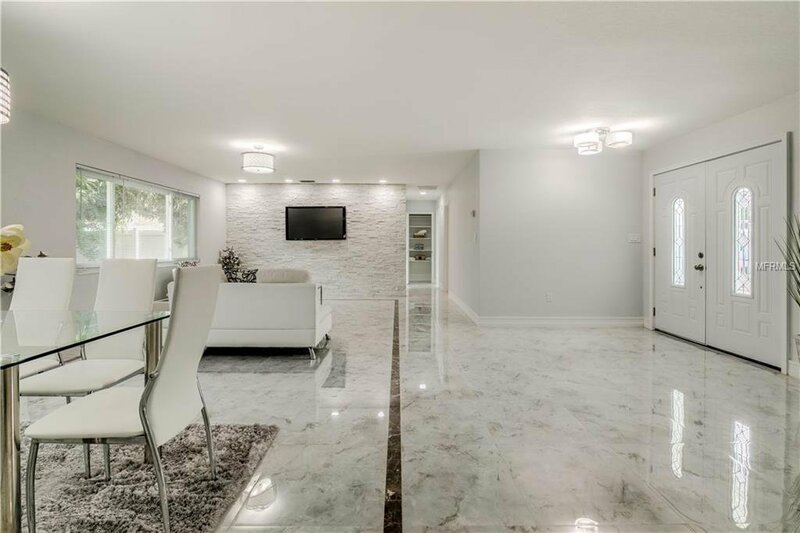 Other upgrades include a glacier stone finish in the living room to add modern look and visual appeal. 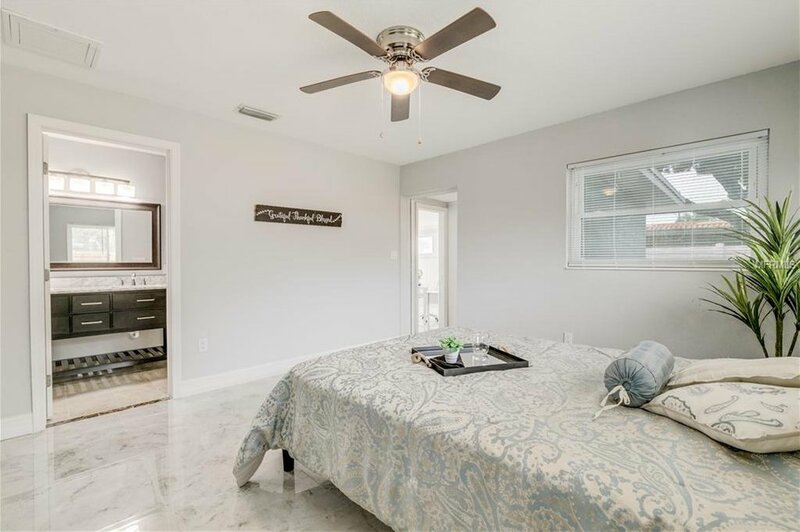 The open floor plan offers views of overlooking the backyard to create a more relaxing atmosphere. 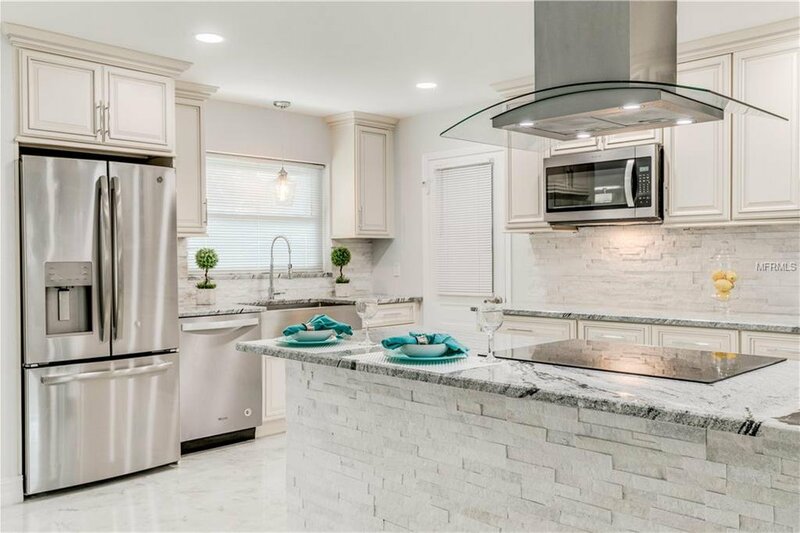 The brand new customized wood kitchen is designed to provide plenty of storage, has soft close drawers and cabinets, granite countertops, wine rack, farmhouse sink, slide in Samsung range, island hood range, and stainless steel appliances. 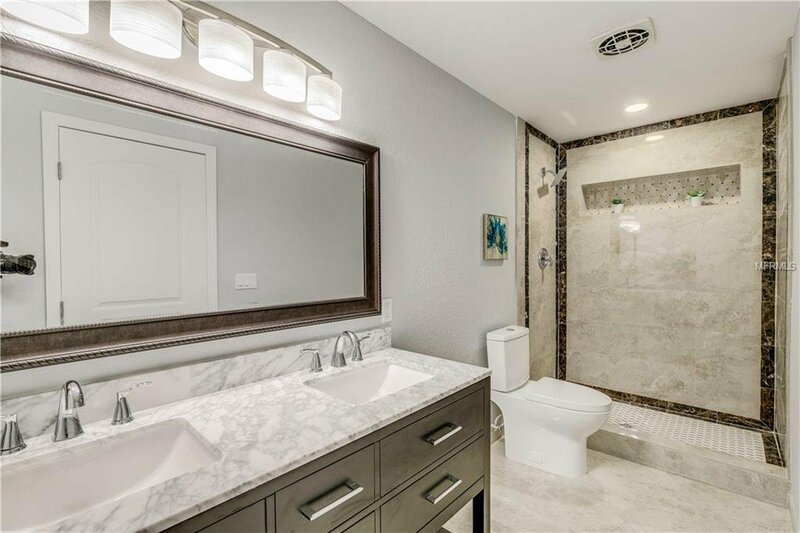 The bathrooms are TOTALLY renovated with new marble vanity tops, marble/stone tiles, and shower stalls with modern accessories. 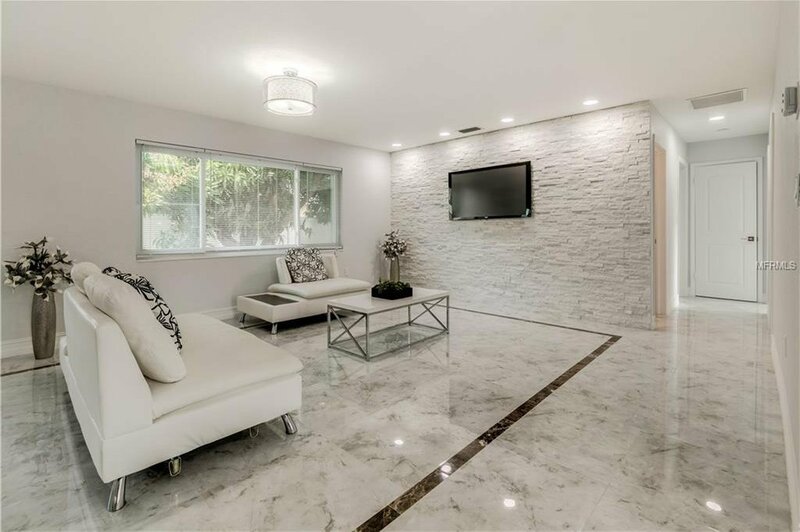 This house has been REMODELED from top to bottom and designed to create a relaxing, modern home. 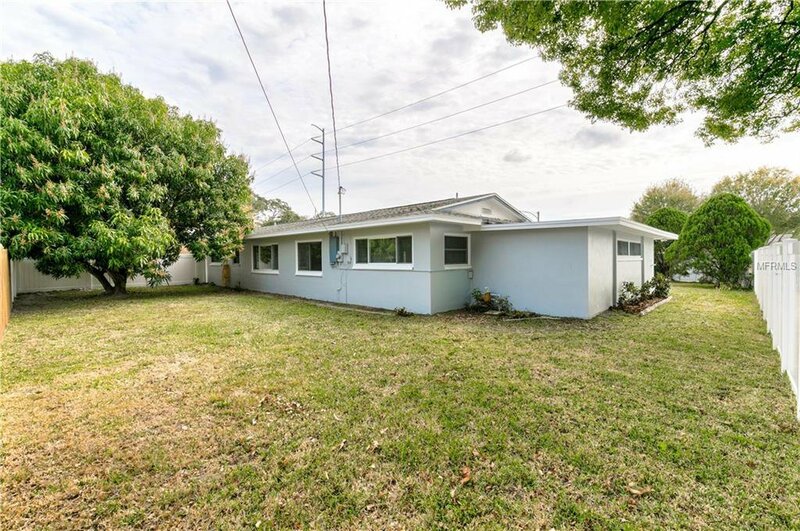 With a great ample backyard, and a great kitchen to entertain, don't miss the opportunity to call this property home!